For adults who lack confidence in their numeracy skills. 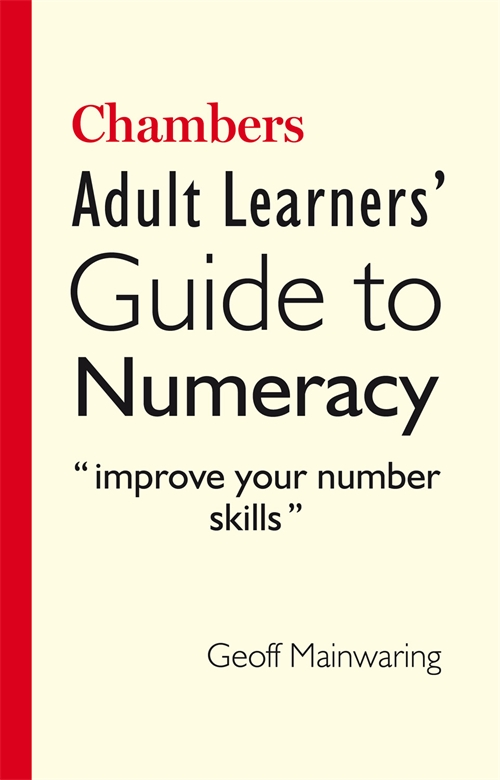 This new edition of Chambers Adult Learners’ Guide to Numeracy is aimed at adults who lack confidence in their numeracy skills. The book provides users with an understanding of the key concepts and methods, then applies them in real-world situations such as calculating distances or working out interest payments. The text is clearly and spaciously laid out, and plentiful examples, diagrams, and exercises reinforce all the learning points. The book is based around the ‘Skills for Life’ numeracy curriculum created by the Department for Education and Skills and its author, Geoff Mainwaring, is a highly experienced teacher and lecturer in numeracy.